Former President Barack Obama, who appeared on Anthony Bourdain's CNN show, said he taught people about food's ability "to make us a little less afraid of the unknown"
After the death of famed chef and award-winning storyteller Anthony Bourdain, celebrities and journalists took to Twitter on Friday to honor the "friend of food and culture" and share resources for suicide prevention. Director and actress Asia Argento, Bourdain's girlfriend, released a statement calling Bourdain her "rock" and "protector." Argento directed the June 3 episode of Bourdain's CNN show "Parts Unknown" that took place in Hong Kong. She also appeared on an earlier episode in her native Italy. Friend and chef Eric Ripert, who found Bourdain unresponsive in his hotel room Friday morning and who appeared on several episodes of Bourdain's various shows, shared a photo of the two on Twitter. Ripert wrote in a tweet that his "best friend" was an "exceptional human being, so inspiring & generous. One of the great storytellers who connected w so many. I pray he is at peace from the bottom of my heart. My love & prayers are also w his family, friends and loved ones." Former President Barack Obama shared a photo of himself having a beer with Bourdain in Hanoi, Vietnam, during a 2016 episode "Parts Unknown." "He taught us about food — but more importantly, about its ability to bring us together. To make us a little less afraid of the unknown. We’ll miss him," Obama wrote. Scientist and author Neil deGrasse Tyson also shared a memory of Bourdain appearing on an episode of his podcast, "StarTalk." Tyson tweeted: "A friend of @StarTalkRadio. A friend of Food & Culture. A friend to us all." Actress and activist Rose McGowan reacted to his death in an emotional video, which was posted to and has since been deleted from Twitter. "For those considering suicide, please don't," McGowan said. "Please call for help, because it is a permanent solution to a temporary problem. It's not forever." She spoke of Argento, who she said has "been through so much." McGowan and Argento have been leading voices in the #MeToo movement. "You were so loved, the world is not better without you," McGowan wrote. "Today" host Savannah Guthrie wrote that she was "heartbroken" about Bourdain's death and shared a photo of the National Suicide Prevention Lifeline: 1-800-273-TALK. 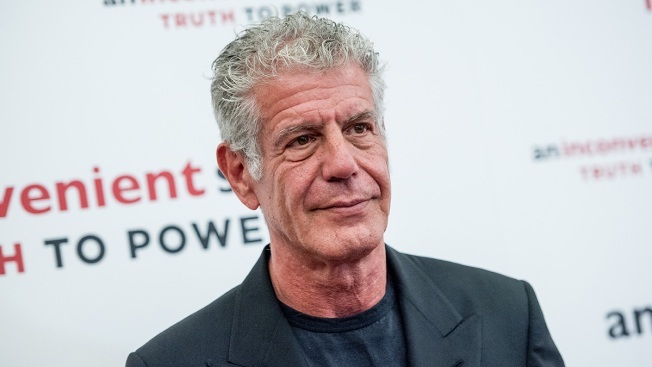 Read more reactions to Bourdain's death below. Here is the thing...just one of the things that makes this so hard and confusing. I think everyone wanted to be Anthony Bourdain. I did. We all did. I'm sorry to hear about Anthony Bourdain's passing. His show 'Parts Unknown' was about so much more than just food. It was about joy and passion, unity and culture, empathy and understanding. Anthony Bourdain was (is) a hero of mine. With only the power of his words, he was able to travel the world, eat good food, and meet amazing people. Reach out to someone you admire today. Outward success doesn't mean they aren't struggling. Gutted. Bourdain's show was my favorite thing on TV. Aspired to be him, or at least hold a boom mic for him somewhere really cool. He told stories better than many journalists. Listened to everyone, ate everything. No bias - an open mind, an empty stomach - all the good stuff. One of my favorite things about Anthony Bourdain is that when Stephen Colbert asked him what the most grotesque thing he ever ate was, he unhesitatingly replied, "Cinnabon." I think about this A LOT.